Having difficulties sleeping is a real drag! Spending countless nights watching the hours tick by, while simultaneously counting sheep in your head is bound to drive anyone crazy. According to a study published in the New York Times, between 30 to 40% of Americans experience some type of transient insomnia during their life span, and about 10 to 15% of Americans will develop chronic insomnia. You can attribute a lousy night's sleep to factors like drinking too much caffeine or staring at your computer screen before bedtime, but did you know influences such as the moon and certain underlying medical conditions can also lead to an extremely poor night of rest? If you've ruled out common culprits and are finally ready to get shut-eye, you may want to explore some surprising explanations for things that are disrupting your sleep cycle. Bang, clang, screeeeech!?! So, you live in a noisy city, or perhaps you dwell in the countryside with a background chorus of cricket chirps. Sound--or lack thereof--isn't the reason you lost sleep last night. Inconsistent or earsplitting noise, such as an abrupt door slam or a piercing animal scream, can knock you right out of a deep sleep. 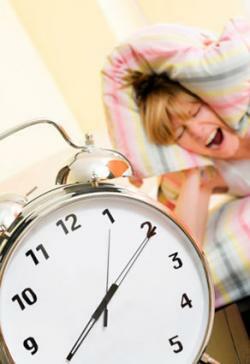 In the morning, you may feel groggy and disillusioned as to why you did not get a good night of rest. Before you get out the grumpy bat to use on anyone and anything that feels the need to get in the way of you and your morning coffee, take a deep breath. There is a scientific explanation for all of this. If you have a noisy roommate or partner that is up making intrusive noises, such as slamming doors, it is very likely these types of noises will interfere with your sleep cycle. Does your spouse snore? Snoring is the type of inconsistent noise that can also interrupt your sleep cycle. If you want to reduce the chances of being awakened by inconsistent or earsplitting racket, it may be beneficial to invest in a device that creates some type of white noise, such as a fan or a humidifier. They will eliminate background clamor that could snap you out of a good night's rest and help you wake up refreshed and ready to take on the world. If you woke up this morning exhausted, look no further than to the moon. The idea the effect of the moon has an impact on a person's emotional well-being has teetered between science and mystical belief for centuries. 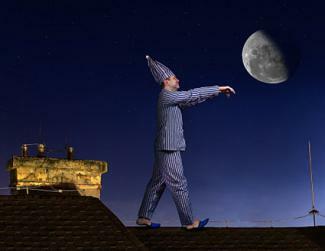 While many believe the moon is a legitimate factor contributing to a poor night of rest, the lack of scientific and conclusive research has caused skeptics to question the validity of the moon's influence on an average person's sleep cycle. In 2000, Current Biology published a study conducted by biologist Christian Cajochen and a team of researchers from the University of Basel, the Swiss Federal Institute of Technology, and the Switzerland Centre for Sleep Medicine. The team recruited 33 volunteers and studied their sleep patterns over the span of three years. The results were astonishing. During the first four nights of a full moon cycle, it takes an average five minutes longer for a person to fall into slumber. The study also concluded the average sleep cycle was reduced by 20 minutes, and there was lowered melatonin in subjects. The study, which was cited internationally by various publications after its findings, suggests the moon cycle does, indeed, alter a person's sleep patterns for the worst. If you didn't sleep last night, check the lunar cycle. If it is full, then there may be a reason you are feeling like a lunatic. An apple a day keeps the doctor away and so does a full night of rest. If you still can't sleep and are ready to throw in the towel, you may want to consider visiting your primary care doctor. Surprisingly, a number of underlying medical causes could be disrupting your sleep cycle. While you are likely to experience stress and anxiety at some point in your life, constant stress or generalized anxiety can have a significant impact on your sleep pattern. 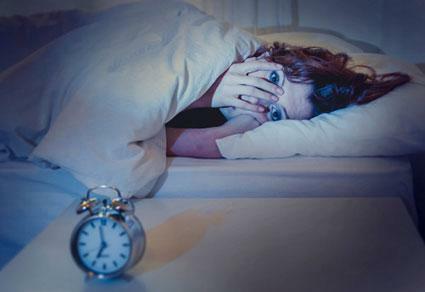 According to The National Sleep Foundation, generalized anxiety can lead to the onset of insomnia. If left untreated, anxiety can cause a person to develop an obsession of not ever being able to get a full night of rest. Anxiety is a serious yet treatable mental disorder. If you think you are suffering with generalized anxiety, there are a number of cognitive therapy techniques that can help you shift your way of thinking. If the word therapy sounds daunting, try incorporating soothing mind-body practices, such as meditation and yoga. Sleep apnea is a serious sleep disorder in which the breath stops and starts over the course of the night. Common symptoms of sleep apnea include loud snoring and waking feeling groggy. If you currently share your bed with a partner, he or she may be able to decipher whether you are struggling with sleep apnea. Ask your partner to observe you while you are sleeping. If he or she witnesses what is known as breathing cessation, (a long pause in between breaths), you may be suffering from sleep apnea. Sleep apnea can be treated but requires a proper diagnosis by a professional health provider. While medical research has been unable to identify the exact cause of RLS, it shows that chronic health disorders such as Parkinson's and diabetes could be at the root of the disorder. A deficiency in iron, lack of exercise, and extreme amounts of stress can also trigger the onset of RLS. Once you identify the underlying issue, you can treat RLS by taking medication or changing your lifestyle habits. The Walking Dead sure is great television series, but not when you feel like a zombie in your real life. Waking up hazy, crabby, and irritable are all common symptoms of a poor night of rest. If you think you are suffering from insomnia due to the moon or varying noise, start by implementing strategies that will help you fall asleep. Purchase a fan and use mind-body soothing techniques to quiet your mind. Schedule an appointment with your primary doctor to rule out an underlying medical condition. You will be one big step closer to falling into sweet, heavenly slumber.